Texas family law matters are often rife with emotion since basic relationships and resources are at stake. 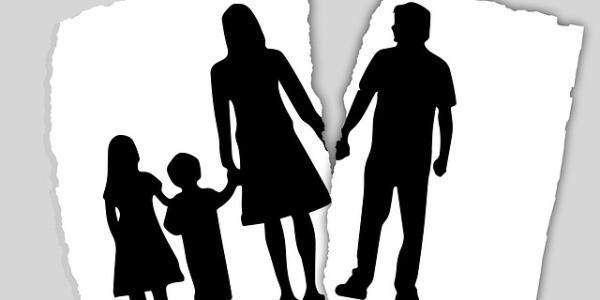 With an expert, Houston, Texas family law attorney from the Divorce Law Offices on your side, a Texas divorce or a Texas child custody proceeding no longer has to be a nightmare. There are no relationships more personal than those between Texas family members. Even within a Texas family unit, however, government regulations are sometimes necessary to ensure that the legal rights of every Texas family member are protected. Texas family law is the field of law that governs these intimate relationships. Texas family law governs multiple legal issues with respect to Texas marriage, Houston divorce, Texas child custody, Texas adoption, and Houston domestic violence. Texas family law has developed with the intent to protect each Texas family member’s rights within the context of family and society. For instance, Texas divorce law addresses how Texas property is divided when a couple separates, while Texas child custody laws are used to develop solutions that are in the best interest of the child when two parents are no longer able to raise the child under one roof. Family law is a complex combination of emotional, financial and legal issues. An experienced family law attorney will help you address all of them while making sure that emotion does not lead to a bad decision. 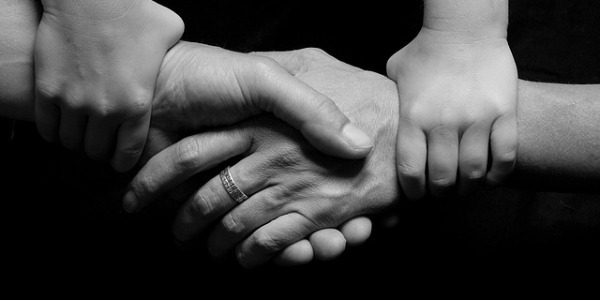 Our law firm maintains a 100-percent focus on family law issues. In every case, our goal is to help you solve those disputes in the way that works best for your unique family situation. Family law — We can help you with divorce, child custody and support, modifications to custody and support orders, adoption, paternity, fathers’ rights, grandparents’ rights, and domestic violence. We will discuss your legal needs and carefully explain your options. Divorce — We understand that this is a painful decision and a difficult time. We will discuss property division, alimony, and any child custody issues. If you choose to go to trial, we are ready to fight to protect your rights. Mediation — If you would prefer to talk through your differences rather than go to court, mediation may be a good option. It is less stressful and less expensive than litigation. The Houston, TX Family Law Offices is a full-service Texas family law firm providing top quality legal representation in all custody, divorce and other Texas family law matters. Our expert Houston family law attorney specialists focus on finding appropriate solutions to the challenges presented by complex Texas domestic relations cases, including issues related to Texas alimony, Texas child support, the division of Texas property and Texas parenting plans. Our Houston, Texas family law firm represents both men and women from across the Commonwealth. The expert Texas family law attorneys at our Houston, TX family law office meet with our Texas family law clients in our office, or if more convenient, at their homes or any other location of their choosing. We offer each of our Texas family law clients a free and confidential initial consultation where one of our expert Houston family law specialists will gather all the information needed to determine our client’s specific goals and objectives in seeking a resolution to a Texas family law matter. Call our Houston, TX family law lawyers today or email us. We would be honored to represent you in your Texas family law legal matter. Divorce is one of the hardest things you can go through in your lifetime. Parties in a divorce can be very emotional and it’s difficult to know how to proceed. Our divorce lawyers have extensive experience in the issues that are part of divorce actions, including separation agreements, spousal support, contested and uncontested divorce, alimony, child custody cases, child support, and property and asset division. We will provide you with the concerned counsel and advice to help you understand the process. Please contact Houston TX divorce lawyers for a consultation if you are contemplating a divorce or have found yourself involved in divorce proceedings. Family disputes can damage your relationships with family members and adversely affect those outside the family. Most people are overwhelmed when going through family law matters like divorce, separation, adoptions, and cases involving their children. We are here for you to lay out your options and help you make an informed decision. We represent clients in Clarksville, Tennessee and the surrounding areas providing competent and caring legal representation to minimize your concerns. When you are all set to proceed with an uncontested divorce, please contact our firm right now. For more details about fast, reasonably priced, and complete no-contest divorce legal representation, call us right now. The key problems to be resolved throughout a divorce are alimony or spousal support, the division of marital assets, the division of debts, child custody and visitation, and also child support. When spouses agree, they can generally get a divorce easily. More typically, nonetheless, divorcing spouses have got disputes regarding their post-marriage financial arrangements and the care and custody of their kids. Child custody cases and visitation disputes are usually painful, complex, and emotional for the parents and children. The determination of who will have physical and financial custody of the children and what the visitation rights of the non-custodial parent are will be determined by the court if the parties cannot reach an agreement. The children’s best interest is the main concern of the court, not the personalities of parents. Modifications of child custody and visitation can be made at any time to account for changes of circumstances in the child’s needs or parents’ circumstances. The division of marital property: In Texas, the marital estate is subject to an equitable division of assets, which can include real property, personal property, financial assets, and retirement accounts/plans. You must also divide matrimonial debts. We can help you resolve which assets are part of the marital property and which are separate. Alimony (spousal support): This may be awarded to either spouse based on financial need, earning potential and the standard of living during the marriage. We can help you fight for an expense that is fair to both parties. Child custody and visitation: The court decides the amount of parenting time (custody) by whatever is in the best interest of the child. Houston Divorce Attorney helps parents forge compromises that protect parent-child relationships while assuring the child’s needs are met. Child Support: Divorce is often a strain on the financial circumstances of the family causing additional stress and unease in the parties. It’s more expensive to support two households than one. We can help you work out a comfortable support agreement for your children or if necessary provide you expert representation before the court or during mediation or Alternative Dispute Resolution. Having the proper legal representation is important for your children’s future. If the responsible party fails to comply with any agreement regarding financial obligations we can also support you in contempt suits to enforce payment. Child support modification may be possible as the needs of the children change. Whether you are in the military, have not been married very long, or are divorcing for another time and have acquired many assets, we can assist. For some couples, going through mediation is best to protect kids, while litigation may be needed when you and your spouse are completely unable to work together. Whatever path we choose on, our attorneys will be at your side each step of the process.